Along with some very pointed questions that were posed at the recent talk at the Albert Hall, there were a couple about the lack of government leadership in emphasizing the value of good design and the importance of architecture. Sadly along with many other questions asked, there was no satisfactory answer. 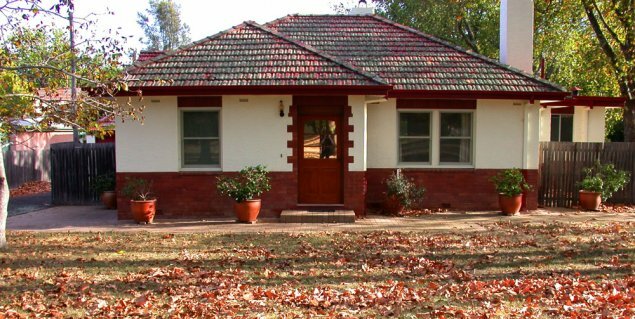 When it comes to domestic architecture in Canberra, meaning the design of stand-alone and semi-detached houses as opposed to apartments, this city has not done very well. In fact, I venture to add that the city of Canberra is a sad case of the failure of domestic architecture. Please do not get me wrong here – Canberra is a great place to live and there are many wonderful advantages to living here. My point is that architecture has done little to add value to the aesthetics and visual pleasures that should come with a contemporary and fairly newly designed city. The early decades were dominated by functionality as opposed to good design in the provision of houses. 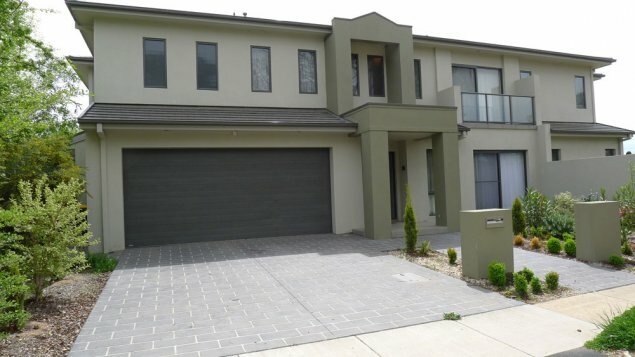 The housing stock was not designed for the climatic conditions for this part of Australia. 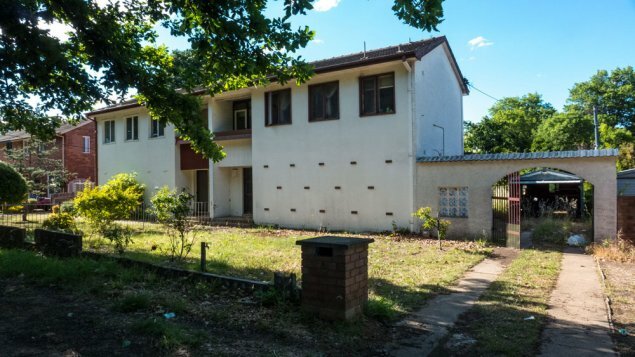 While it is a good thing that some of these early dwellings are now heritage listed, unless they are retrofitted (insulated, double glazed etc), they are not the most comfortable places to live and to bring up families. The 1960s onwards saw the arrival of many developer driven project homes. Unfortunately there was still no priority for well designed and well-built houses that addressed the extremes of climate that is the norm for the Canberra/Monaro area. The government continued to provide government houses that were functional and competently built (well mostly) but were mostly boxes with little aesthetic adornment. The former National Capital Development Commission (NCDC), with all its powers and access to resources, failed to take up the architectural domestic challenge to create a local and relevant style. While many of these earlier houses survive in more or less their original state, a huge number have been used for makeovers (modernizing and extensions etc). Meanwhile in the last decades we have seen the arrival of the new international style (or cookie cutter style) approach in the new suburbs and into the inner streets. The comparison between some of the new suburbs the more established areas is stark. The common theme is that these newer suburbs generally continue the practice of not building for this climate. Given that such a lack of design may be linked to having money – I took the time to wander through the suburb of O’Malley where supersize is the norm. 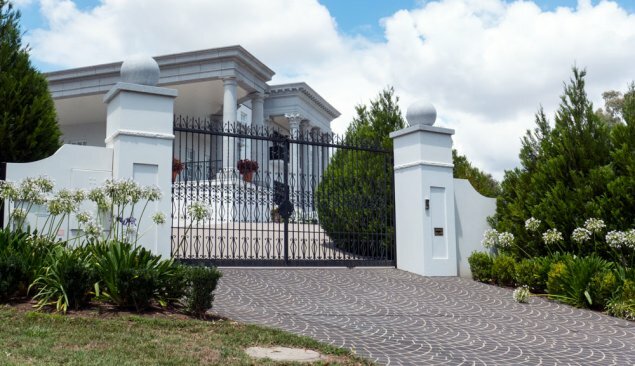 Sadly most of the houses in this suburb of mansions are simply enlarged versions of the same boxes found in most city suburbs. It was rare to see any outstanding architecture. But then there is this. It speaks for itself. Successive ACT Governments have not provided architectural leadership in the oversight of the provision of domestic stand-alone or semi-detached housing. It has been left to the market place to provide whatever they can sell. Amongst the many very ordinary and climate unsuitable dwellings there is the occasional well-designed gem, but they are the exceptions. Even amongst the many make-overs of established houses, the architectural successes are uncommon. If it were not for the success of the establishment of urban forests in the earlier suburbs, Canberra would have little that defines it. And the government now wonders why residents are so passionate about saving every tree from the developers and the LDA/directorate in their joint efforts to build more towers and car parks and diminish the cherished green spaces. The current government’s urban development policies are summed up in the words of the Chief Minister when asked about a proposed development. He said that the government was not running a beauty contest and that they left all that to the market and to the planning authorities. I suspect that reflects his and other local politicians’ attitudes to architecture and good design. (At least he did not use his favourite term – ‘vibrant’). Despite the continuous line of graduates from architectural programs, we have not seen a rise in the provision of any set of architectural styles suitable to and reacting to the Canberra environment. Where do they all go and why have they not grabbed the challenge of providing something, anything, new and innovative for the local housing market? The failure of architecture in Canberra belongs to the lack of vision from government ministers of all colours, the historic failure of the architecture profession to take up the challenge of providing high quality and relevant design solutions and because of that the failure of people in general to have an appreciation of, access to and ultimately to demand quality design in housing. This failure is a shared responsibility of us all and it shows in what this capital city is now starting to look like when one looks around the suburbs at our housing stocks. The challenge is to change the politics of architecture. Too many architects are comfortable in partnerships with developers and government resulting in a lack of innovation in domestic architecture. Something needs to change. For the owners of houses considering renovation or a rebuild it is logical to use an architect but history has shown that this is not the path chosen by so many. There are complex issues to do with using architects that are off-putting despite the benefits that flow when a a house is based around the use of good design. With so much commitment by so many to our city’s future, there must be someone with some bright ideas about how to lift the expectations for domestic architecture. I do recommend a book to you anyone interested in Canberra’s housing. Published in 2013, 100 Canberra Houses: A Century of Capital Architecture, is a book by Alan Roberts and Tim Reeves. It provides a positive view of a century of homes –a larger review may follow. Watch this space for more comments some time on architecture across apartments, commercial buildings, landscape design and education campuses.